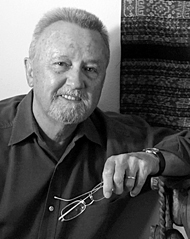 Maurice Perry received his Bachelor of Architecture degree from the University of Adelaide, South Australia and practiced in Australia and Malaysia before joining the Singapore division of Kajima Corporation to pursue project opportunities for the Japanese development and construction company throughout the Asia-Pacific region. During his tenure with Kajima, Mr. Perry sourced and oversaw major commercial and hospitality projects in Australia, Hong Kong and the Philippines. In recent years his engagements became hospitality focused and were expanded globally through his appointment as Group Director of Development - Design for Jumeirah Group, the Dubai-based luxury hoteliers, in the expansion of their hotel, resort and spa and serviced residence portfolio. Project involvements in this capacity included hotel and spa developments initially in Asia-Pacific, Dubai and the MENA region and then into Europe with the realization of Jumeirah properties in Frankfurt, Germany and Port Soller, Mallorca, Spain. He has sketched extensively throughout his career, specializing in pencil and ink and watercolor works. In 2002 he and his wife Barbara produced and published Santa Barbara Sketchbook, to accompany earlier books of historic towns in the South Australian country. Mr. Perry has recently returned to his permanent residence in California to consult to Jumeirah for their projects in Europe and the gateway cities of the Americas. He joined Aventur in 2014, bringing his impressive expertise and global perspective to hotel and hospitality projects.